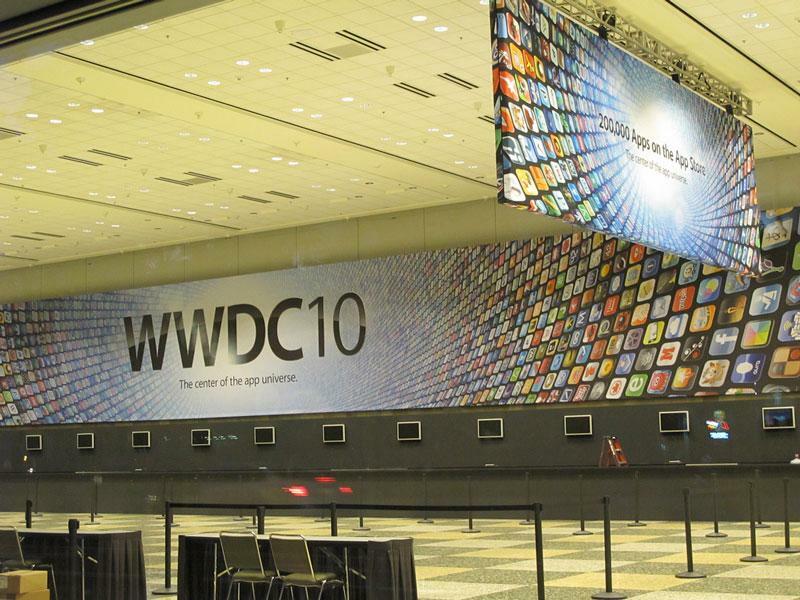 Apple has hung even more banners inside the Moscone Center in San Francisco for its forthcoming Worldwide Developer Conference, but they don't reveal any details about what the company plans to announce on Monday. 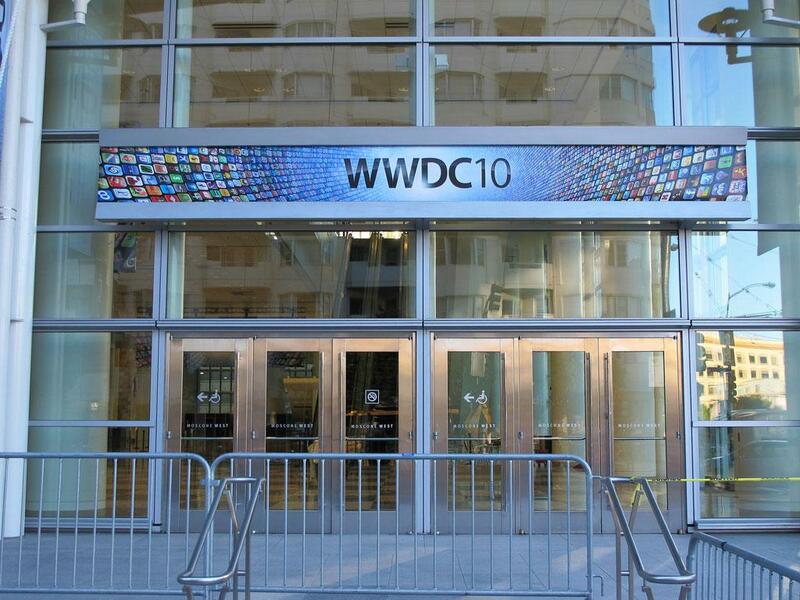 Apple began putting up banners earlier this week, and AppleInsider took a number of photos showing the giant Apple logo on the exterior of the building, and the main WWDC10 banner inside, featuring the slogan "The center of the app universe." 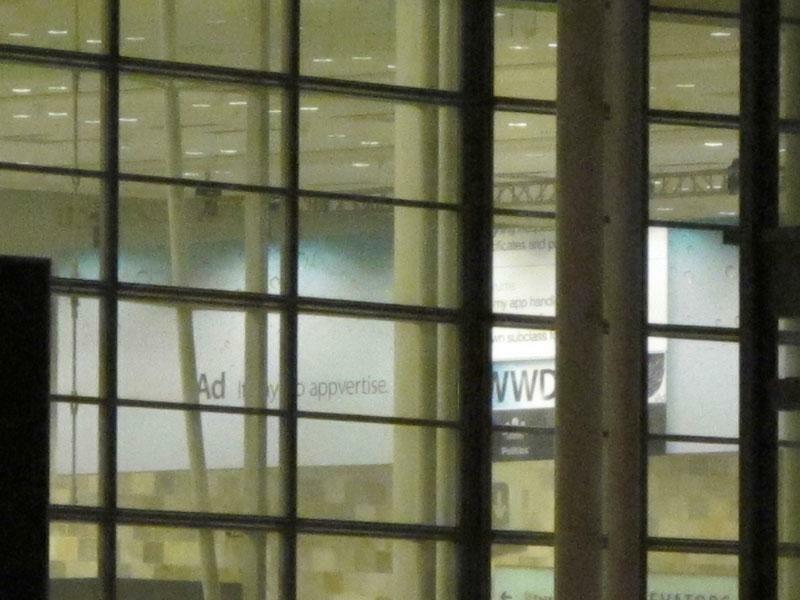 On Friday, reader Adam Jackson took photos of even more banners now on display at the Moscone Center. The promotional materials continue to emphasize the fact that this year's conference is focused primarily on the iPhone OS, which powers the iPhone, iPod touch and iPad. 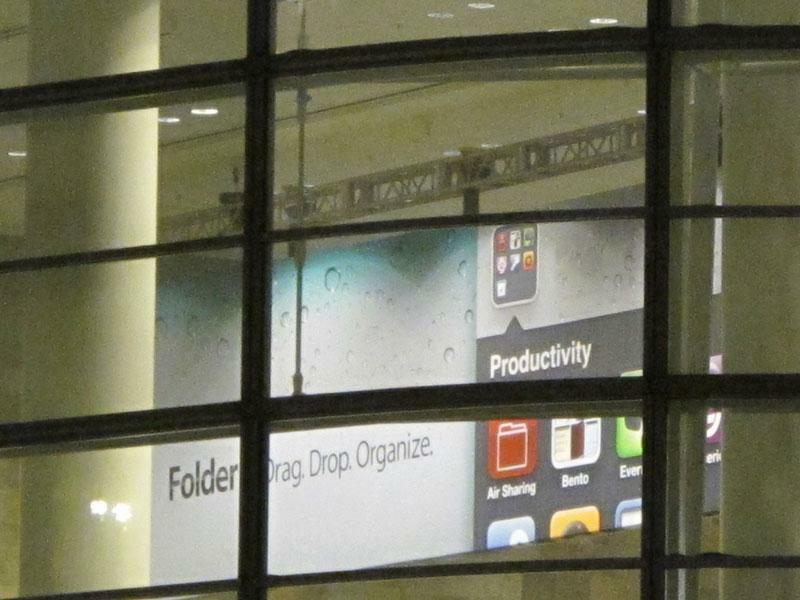 One picture snapped through the windows of the building shows a banner centered around folders, a new feature in Apple's soon-to-be-released iPhone OS 4. It shows the applications Air Sharing, Bento and Evernote in an automatically named "Productivity" folder. The banner reads "Drag. Drop. Organize." 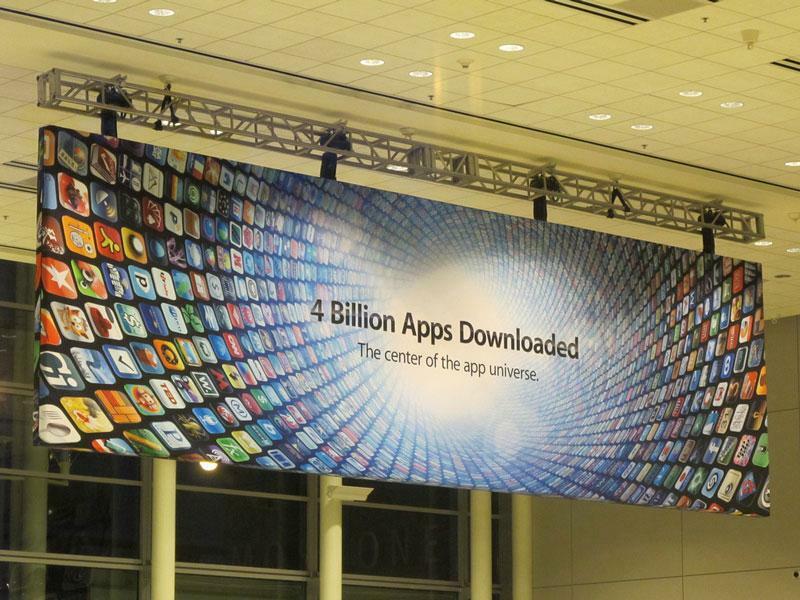 Other materials hanging from the ceiling boast the popularity of the App Store. One reads "4 Billion Apps Downloaded," while another touts there are "200,000 Apps on the App Store." And a display for Apple's iAd service coins the term "appvertise." WWDC begins Monday at 10 a.m. Pacific Time, 1 p.m. Eastern, with a keynote from Apple Chief Executive Steve Jobs. The conference runs until the end of the week, with the last day being June 11. Apple is expected to introduce its next-generation iPhone, of which prototypes have leaked and been publicly photographed. Other potential announcements include Safari 5, upgrades to the Mac mini and Mac Pro, and a 27-inch LED Cinema Display. 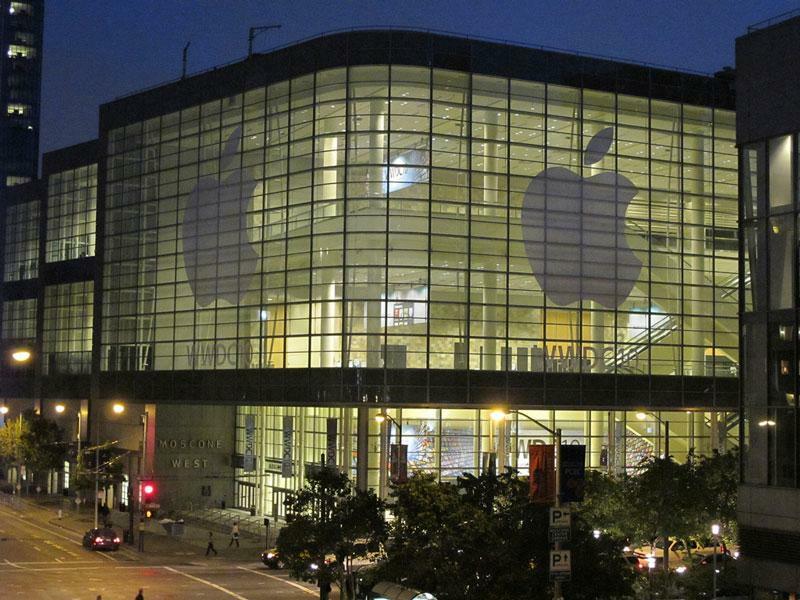 For more photos of the Moscone Center, see Jackson's full WWDC 2010 gallery available on Flickr.